We know that first impressions matter, and the asphalt on your commercial property is the first impression your clients or potential clients will receive of your business when they arrive. It is imperative that it is in good shape, allowing your business to be associated with quality, safety, and attention to detail. Sealcoat, which can be placed on your asphalt 12 months after the initial installation, should be redone every two to four years to keep the pavement in tip-top shape. Here are three important reasons why you should sealcoat your commercial asphalt as soon as possible. Blacktop paving that has not been privy to a sealant can face detriment from severe weather and seasonal changes, as well as regular wear and tear. While some damage is inevitable over time, a substantial breakdown can begin within the first few years, leading to significant cracking, crumbling, and oxidizing of unprotected areas. This can result in your commercial asphalt being closed off to visitors until repairs are made, due to the safety concerns that accompany broken or uneven pavement. Climate and use can shorten the lifespan of commercial asphalt, but with proper maintenance and preventive care, it can last much longer. By including parking lot sealing as part of your regular maintenance, you can extend the life span for years or even decades. This can save you from having to budget in expensive rehabilitation or a full replacement sooner than necessary. Sealcoat can greatly improve your curb appeal. It allows rain to easily wash away dirt, giving a cleaner, more streamlined look. It also helps increase the visibility of painted parking and loading lines, and allows your pavement to maintain a new appearance, offering a positive first, second, or tenth impression. Is there a chance you will be placing the property on the market anytime in the future? Is so, having blacktop paving that is topped with sealcoat can increase your property value and be a featured selling point. Doing a project of this size yourself can be a time-consuming and costly task. 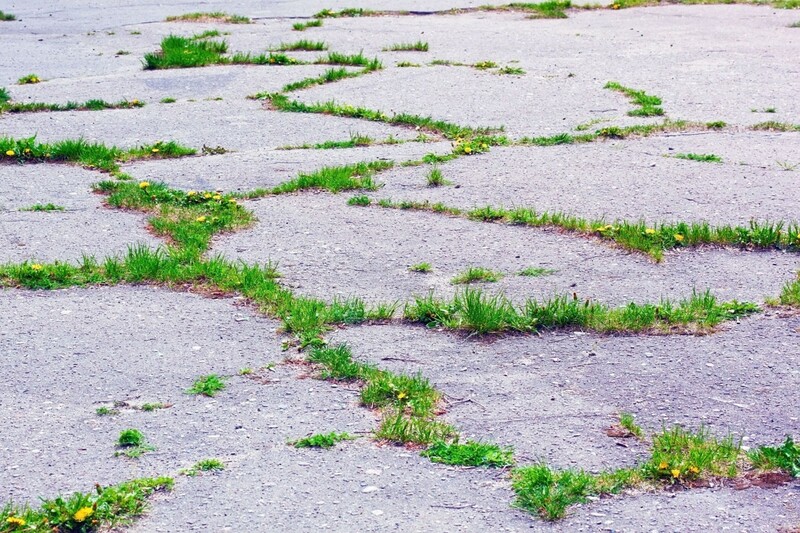 Without proper training, you also run the risk of believing your pavement is protected while unwittingly leaving the area exposed to the elements. Using a commercial asphalt company with experience and a willingness to work within your budget can get your business protected and in a timely fashion. For further questions or to request a quote, give All County Construction a call today.